PARIS — Researchers are on the hunt for the perfect bee. Today, pesticides, mites, viruses and other parasites decimate tens of millions of colonies of pollinators on the planet. Researchers are now trying to select genes from bees that would build colonies resistant to external attacks. Doing so would help save natural pollination, which is vital to plants. While many international programs are trying to understand the complex interactions between bees and their environment, back in 1977, a monk named Karl Kehrie had already crossbred several species. He had collected hundreds of queen bees in Europe, Middle East and Africa whether they were industrious bees from Turkey, black bees from Morocco, placid bees from Kilimanjaro or vigorous bees from the oases of the Sahara. In his abbey in Devon, Kehrie obtained the Buckfast bee, an insect with rare qualities. Today, it's the most valued bee among beekeepers as it's gentle, robust, clean, an excellent pollen collector, and shows very little sensitivity to swarming. First and foremost, the Buckfast bee has been able to resist the Isle of Wight disease that destroyed the British black honeybee in the 1920s. Finding a modern replacement for Buckfast will be challenging. The bee will have to be as rustic as the Buckfast bee but also as resistant as the Asiatic bee, the Apis cerana. The latter can live alongside the Varroa destructor, a mite that can introduce parasites in a swarm in no time. 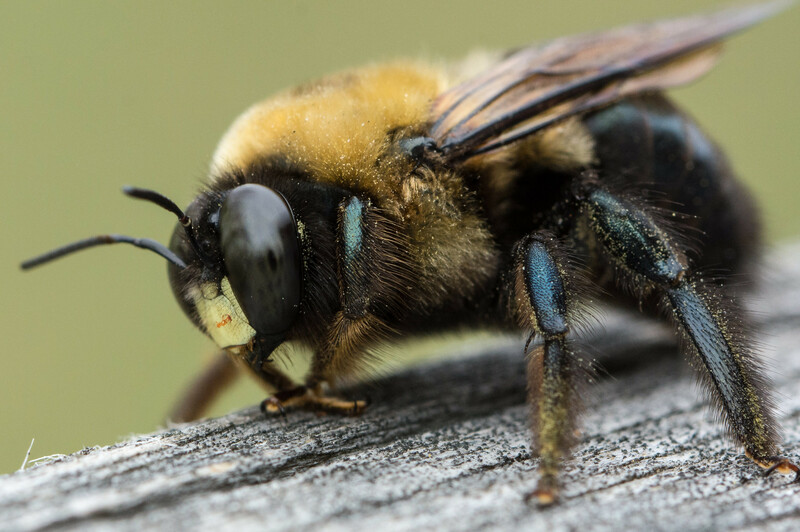 While the parasite isn't usually strong enough to kill a bee, it weakens the colony by enabling the spread of a whole range of viruses such as the deformed wing virus, a disease that shrinks the wings of infected bees. Hilary Erenler, a British researcher from the University of Northampton, found a colony of thousands of bees from the Anthophora squammulosa species, which live amid the volcanic ash of Masaya in Nicaragua — a hostile environment. They emit particular sounds to ask others to scratch their abdomen with their mandibles. The hive is constantly exposed to emissions of acid gas and the survival of bees depends on a unique and rare wild flower, Erenler told Science Magazine. In Europe, especially near the French city of Avignon, scientists studied bees that exhibit behavior that can resist the Varroa destructor by preventing the parasite from multiplying. "They emit particular sounds to ask others to scratch their abdomen with their mandibles," says Yves Le Conte, who's in charge of the "bee and environment" unit at INRA, France's National Institute for Agricultural Research, in Avignon. Thanks to 163 receptors and an efficient neural coding system, the honeybee's olfactory system can distinguish thousands of volatile compounds and identify them as good or bad. 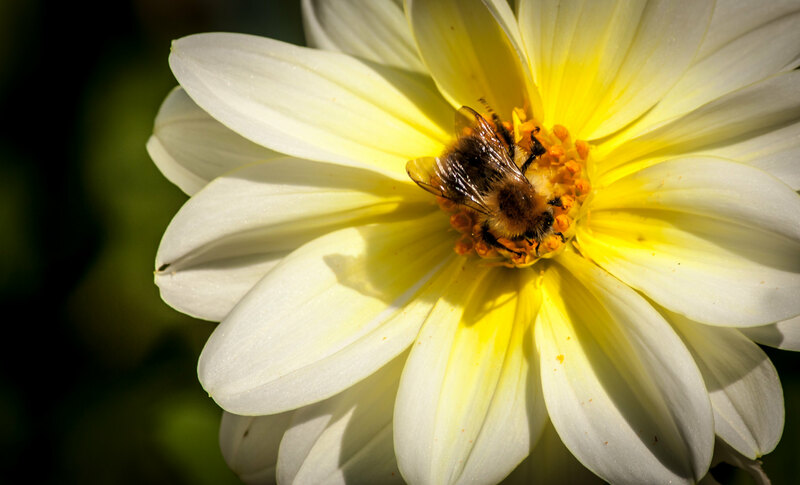 In a study published in December 2015, Morganne Nouvian, at the University of Toulouse, showed that ambient scents and pheromones interact to influence the behavior of bees. When a bee comes across intense flowery perfumes, it releases soothing compounds. When it faces danger, it stimulates the aggression in fellow bees. Researchers at the Crown Research Institute in New Zealand found this behavior was hereditary. In Europe, the company Labogena, a branch of the Evolution group that specializes in animal genotyping, is supervising the BeeStrong project. One of the goals of this project is to identify genetic markers of resistant bees. Working alongside France's National Institute for Agricultural Research and the Technical Institute of Apiculture, Labogena sequence genomes of at least 1,500 beehives over three years at the cost of 2.3 million euros. Researchers hope to build a library of super queen bees that could produce generations of bees with interesting characteristics. "Almost 500 colonies have already been analyzed," says Fanny Mondet, a bee pathology research engineer working on this program at the agricultural institute. For other professionals, it's the equivalent of finding a breed of sheep that can resist wolves. Indeed, several large epidemiological studies illustrate the difficulties in finding such bee species. One of these studies, which was published in the Journal of Apicultural Research, concluded that "this bee doesn't exist." For two years, this study compared the resistance of 16 strains of honeybees in 11 European countries. Almost 600 colonies have been studied. What was the conclusion? Local bees from conservation programs lived 83 days longer than others. For researchers, this proves the necessity to preserve the diversity of the genetic material of bees. They recommend protecting certain regions of the world from the import of foreign bees. Another study, which was published a few months ago in Science Magazine, found that the export of one kind of bee species actually caused the global pandemic of the deformed wing virus.